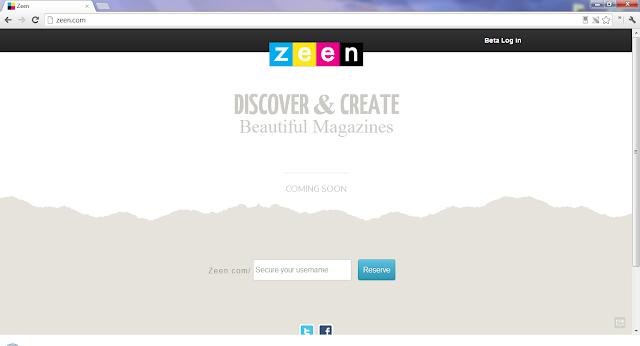 Zeen makes creating an online magazine simply elegant. Within minutes I had created my first issue. 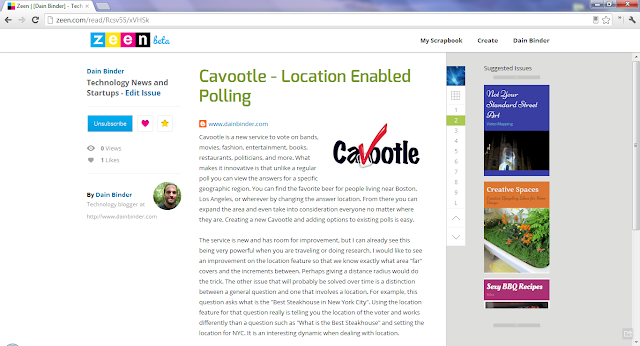 You can use their bookmarklet to quickly mark stories from webpages you want to add to the magazine issue and then add content from other sources such as RSS, Instagram, and YouTube. Even choosing the layout, page style, and colors was a snap. They are currently in private beta and you can follow them on Twitter and Facebook. You can reserve your username today.